Junior (12 and under), Senior (65 and older), Military (active and dependents with ID) and first responders take $5 off ticket prices.Children 5 and younger ski free with paying adult. Multi-day discount ticket purchases available. Daily tickets and multi-day packages are non-refundable and non-transferable when the resort is open for business. Monday is "Senior Citizen Day" -$30 lift tickets for seniors! 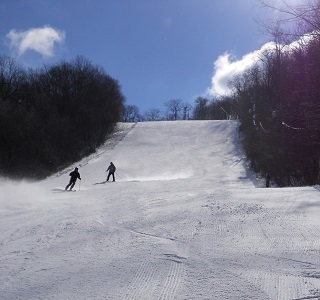 Tuesday is "Super Tuesday" - $30 lift tickets for all! Wednesday is "Military/1st Responder Day" - show your Military or 1st Responder ID for $30 lift tickets! Thursday is "College Day" - College students with valid student ID can buy $30 lift tickets! First Day ticket is purchased at full price, then get $5 off each additional day. Discount for Season Pass Holders—No Matter Where You’re a Pass Holder! Season Pass holder at another resort? No problem! At Blue Knob All Seasons Resort on any non-holiday, Monday thru Friday, you can purchase a day or twilight session lift ticket for $30! The ABSOLUTE Lowest Season Pass Prices Of The Year Are Here Through April 30th, 2019!! NEW THIS YEAR! Each purchaser of an adult pass will receive a "Bonus Book" with Lift Tickets & Snow Tubing Passes and discounts, with additional discounts on logo apparel, food & beverage, rentals & lessons! "Bonus Books will be mailed later in the spring!